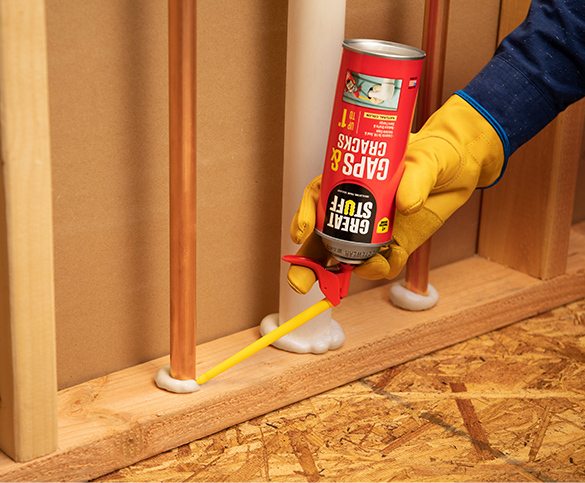 GREAT STUFF™ or GREAT STUFF PRO™ Gaps & Cracks and GREAT STUFF™ or GREAT STUFF PRO™ Pestblock can be used for sealing pipe penetrations through walls. GREAT STUFF PRO™ Gaps & Cracks is also fireblock rated. 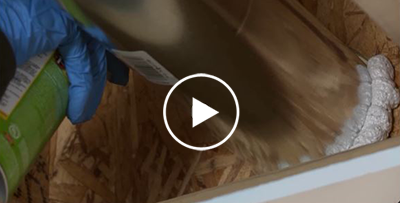 ; GREAT STUFF™ and GREAT STUFF PRO™ Pestblock are specially formulated to block insects and pests from entering the home by sealing gaps and cracks where they commonly enter. 1In this study conducted by Dow and D.R. Nelson & Associates, air loss was measured using blower door tests. Potential energy savings were estimated using REM Home Energy Analysis Software. Results vary based on construction, style, year built and other unique home characteristics. Participating homeowners were current employees of Dow.